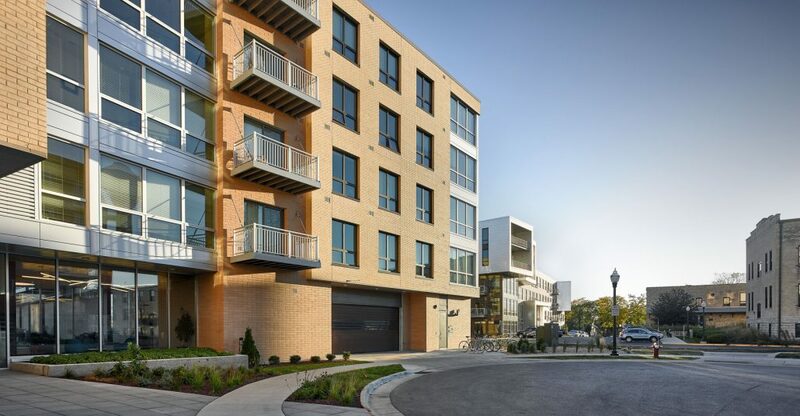 The Nine Line development is a contemporary interpretation of the historic tobacco warehouse buildings in downtown Madison. 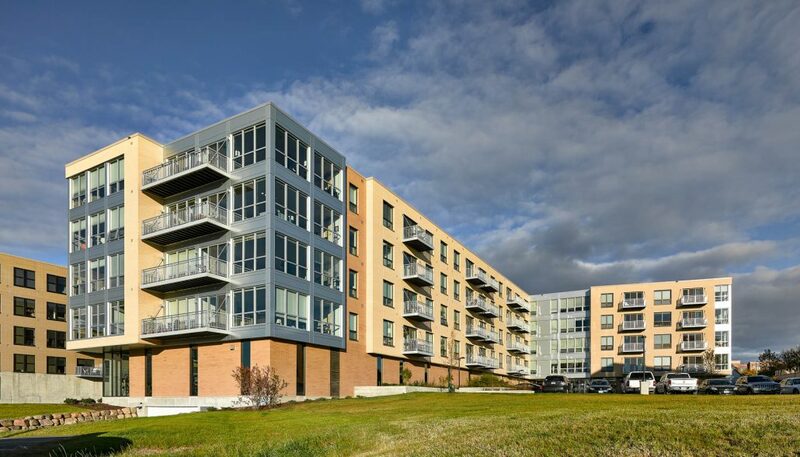 Located on an urban infill site, the development features a mix of 1 to 3 bedroom units, fitness center, community room, and provides 88 stalls of underground parking as well as 111 stalls of bicycle parking for residents and visitors. Located on a busy bike path, bike parking is located directly inside the building at grade level, where a self-serve repair area is available to all tenants. 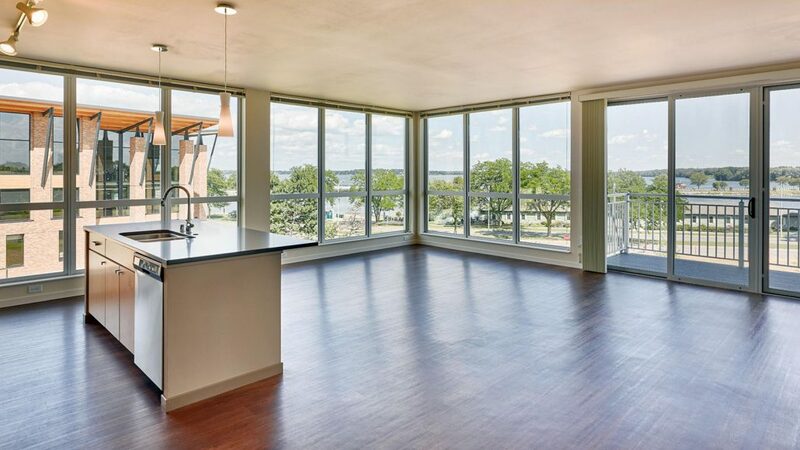 The floor to ceiling glass in many of the units create excellent views of Lake Monona, Monona bay and the Capital. 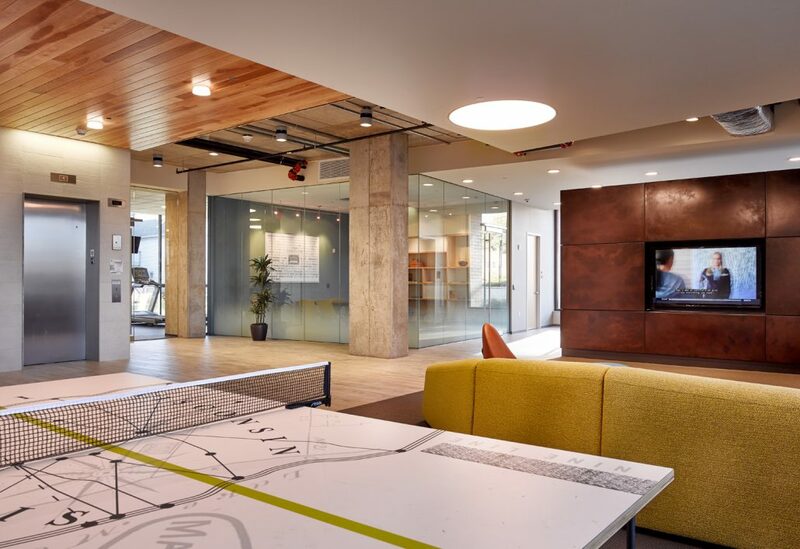 The design is geared for urban professionals who desire contemporary design, being close to the lake and bike path as well as to the many other amenities of downtown Madison.